i promise that i'll comment your pics as soon as possible! mirroring + warm filter+ diffuse glow in post prod. ..mi sembrava di averla già votata e commentata, ma non vedo nula.. quindi congratulazioni per il POD e per la resa fotografica del soggetto.. è come avere il mondo in mano!!! 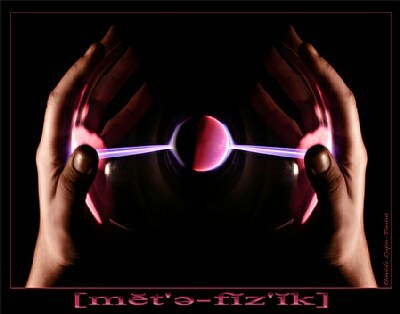 molto bella e ben equilibrata.. ciao ciao Dà..
Another neat image from your experiments with a plasma sphere! Congrats on being chosen photographer of the day! POD! controllo di esposizione eccellente. Wonderful effect; looks like you have planned this carefully and it paid off. Wow! What a terrific image! Congratulations on the award! Hi Davide. Awsome shot my friend!! Congrats on the pod award....Very well done Davide! Hi Davide....i´m here again ,for give to you Congratulations for the deserved PoD award!!! Very intriguing and eye catching. Great shot with wonderful colouring and composition. Innanzitutto congratulazioni per il premio. foto molto particolare e suggestiva. creatività al massimo e premio strameritato Davide!!!! Elegante come composizione e raffinata la post produzione che dimostra una grande abilità tecnico copositiva necessaria di alto profilo per ottenere questi risultati. Just one pixel make me think that hands are not duplicated, the rest is an absolute duplicated one! the soft light on hands are very well done and reflection on glass are amazing. Hi Davide, Very intriguing image, and an impressive display of both photograpic skills as well as photoshop skills. I like the mirrored effect, don't think I would've noticed it, but now you mention it, it's quite evident...:) Verycool stuff! The translucency of the sphere creates a great feel of depth and dimensions in the otherwise fairly flat appearance of the sphere. Great stuff, very creative shot! Appena ho visto la miniatura sapevo che eri tornato! I've seen these plasma spheres before and you have done a very good job capturing it here. The shadows of the hands really give a sense of depth. For a two second shot and photographing the hand at that speed, it is remarkably sharp. The holder must have had a very steady hand!! Davide amazing compo with brillant executuion dear friend!